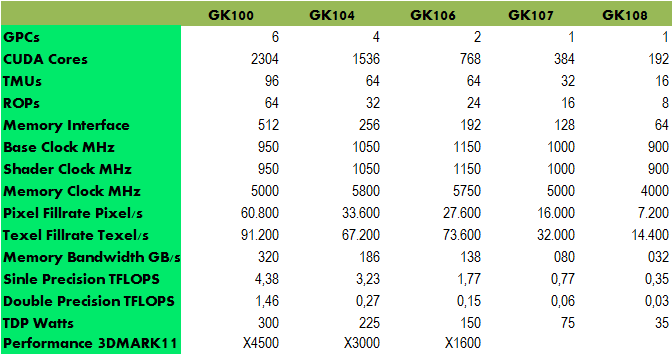 Gaming performance results of Nvidia’s upcoming Kepler based GK104 chip has been exposed over at Pcinlife forums. A similar chart was posted back in November on Chiphell forums which matches the specs Bright side of News detailed yesterday (Detailed here). 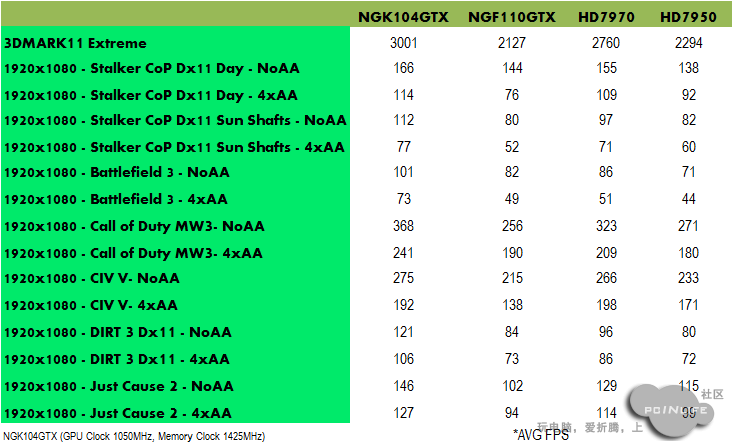 The chart probably puts the GK104 based GTX680 GPU to test against the GeForce GTX580 (GF110) and recently released HD7900 Series Graphic Cards. The only thing that differs from the previously released specs are the clock frequencies which are set at 1050Mhz on Core and 1425Mhz on Memory while the GK100/110 which would release later would be set at 950Mhz Core and 5Ghz Memory (effective).